I've tried to get an idea of how big the region is. 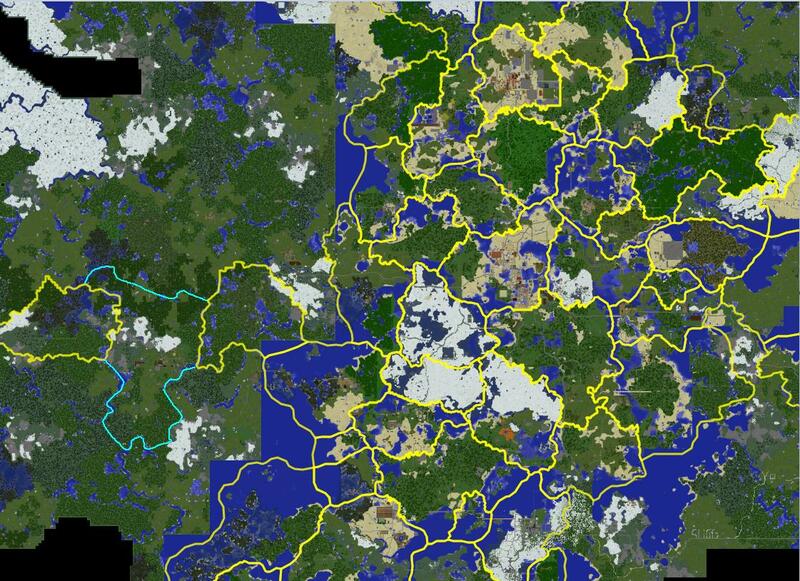 I think it looks a bit big, any of the areas that could be left out maybe (and maybe become another region later)? 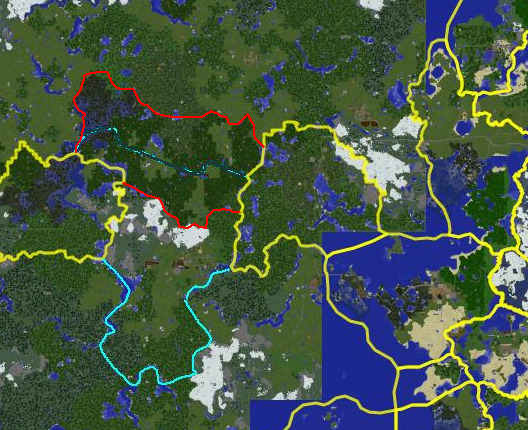 Even though I know some of the old regions are bigger, I think it'd be a good idea to have future regions not vary hugely in size, generally 100,000 to 400,000 sq. m.
Here are the parts I'm willing to cut out, but other than that I would like to keep the other parts. 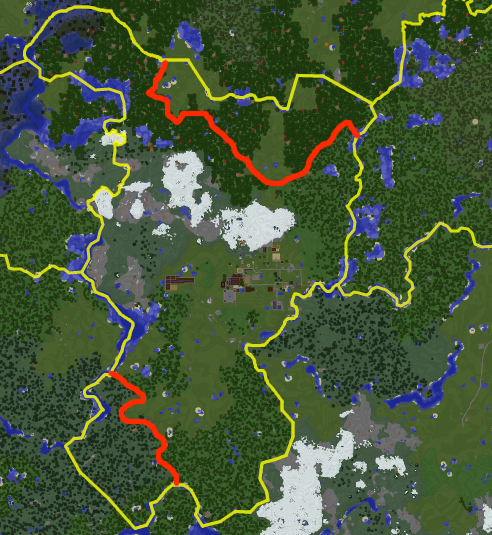 It's not that you can't have the land, it's just to make regions have more similar sizes. For example, one possibility could be to claim the southern part here, and then maybe make something like the red area a new region later when you feel like developing that area. Oh okay. I don't mind that, I can always make another region in the future. I'll go with your idea. I can vote yes if you want to start the voting.